Rehearsing for the school’s annual Christmas extravaganza is always great fun, but never more so than when it involves an afternoon out of the classroom with some furry friends. 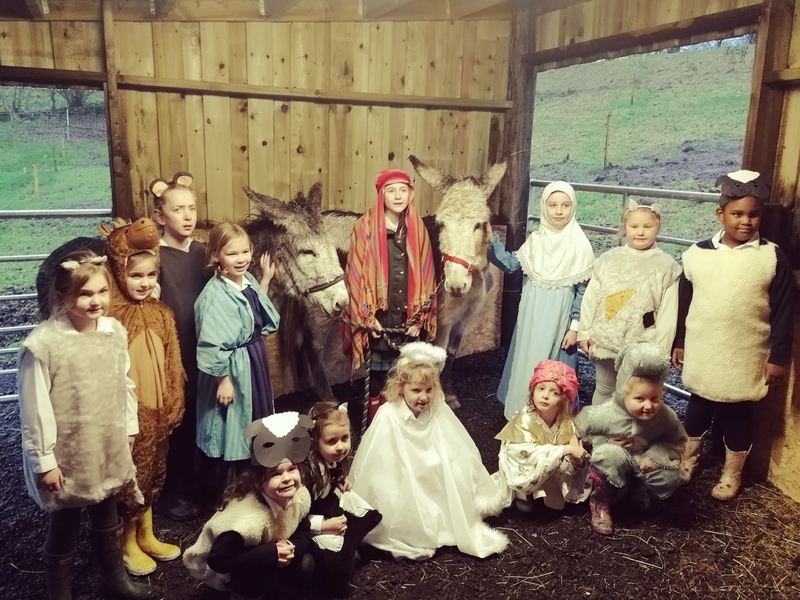 Pupils from Kilgraston’s Junior Years travelled to Forgandenny this week to try out their lyrics, with the help of dutiful donkeys Rosie and Star, from the school’s ‘Portraits of Christmas’ show at Perth’s Concert Hall on 7 December. The obliging donkey duo are owned by one of the young Junior Years singers, Lucy H, who, while rehearsing for the show, had the idea that it would be great to have a real version to practice with. Head of Music at Kilgraston, Jason McAuley, was delighted to make this happen. “Instilling a love of all things musical in children is my main aim and using inspiring locations is all part of the fun process,” he said. Portraits of Christmas is on Friday 7 December at 7pm and brings alive the Nativity story through melodies and music from both the Junior and Senior sections of the school. The show is open to everyone and tickets are available from the Concert Hall. Sadly, the descant donkeys won’t be appearing on the stage.